There’s not one, not two, but FOUR whole Avatar sequels underway from James Cameron. Forget about the superfluity of having four entire movies to follow the 2009 hit—release dates for all four films came out last year, and now it looks like we might know what these films will be called. According to BBC, the possible titles for the forthcoming films are Avatar: The Way of Water, Avatar: The Seed Bearer, Avatar: The Tulkun Rider, and Avatar: The Quest for Eywa. The first film, reportedly about Pandora’s underwater realm (Pandora is the name of the alien planet if you don’t recall), is straightforward enough. But Avatar: The Seed Bearer? Is there not a gentler or more creative way, Mr. Cameron, to reference Jake and Na’vi’s procreation? Those two films are expected to come out in December 2020 and then 2021. If they do half as well as the original, which earned $2.8 billion worldwide, the next two films will come out in December 2024 and 2025. 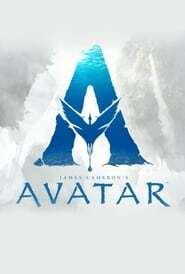 Avatar still holds its place as the highest grossing movie of all time. If the fourth film does make it to the big screen, it will arrive 16 years after the original. Sam Worthington, Sigourney Weaver, and Zoe Saldana all return to the planet of blue people, and Saldana and Weaver have reportedly already finished filming for the first two films of the four sequels. 2020 is still a ways off so it’ll be a minute before we get a confirmation on those names and any sort of trailer, but Avatar is definitely coming back to the big screen whether you like it or not.